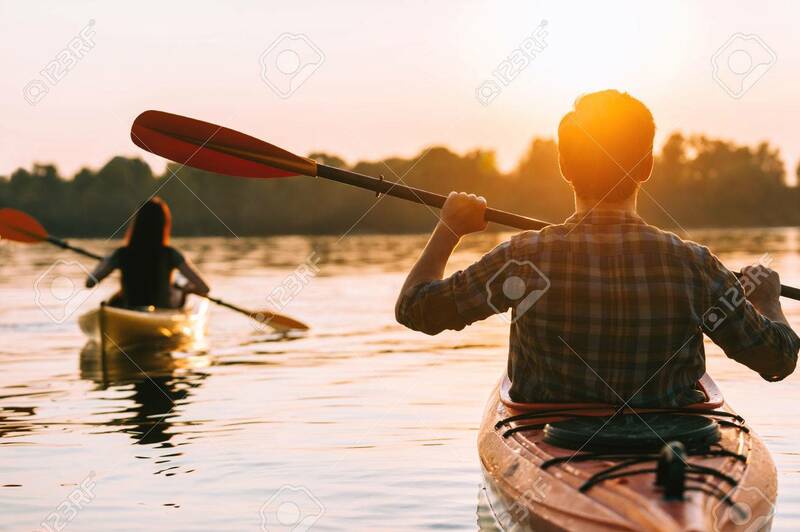 Meeting Sunset On Kayaks. Rear View Of Beautiful Young Couple.. Stock Photo, Picture And Royalty Free Image. Image 64179195.